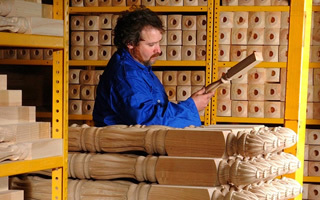 Timber Components: providing unrivaLled quality joinery since 1969. 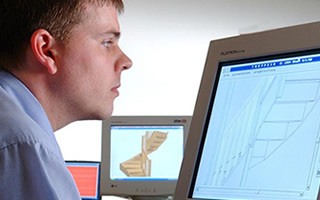 Timber Components manufactured stairs are tailored to suit your particular requirements. A selection of timbers is available for matching your preferred finish, along with your preference of overall style and options either in: open/closed, straight flight/dog leg, 90,180 or 360 degree turns. Every staircase is carefully designed to your specific measurements using the latest CAD design software. We can provide different options with a wide range of configurations available from handrail component designs, ballustrades and skirting. These are supplied all in one complete package, pre-assembled and pre-finished. For a detailed quote or to find out more about our products, contact us today.